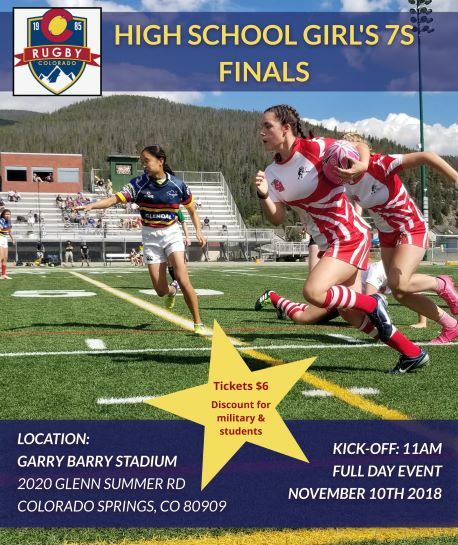 Warm with light gusty wind and temps in the low 80s at the finest rugby ground in the state as Boulder and Provo got after the pill to determine which XV would continue the season unbeaten. 80 solid minutes later on, the victor, though yet undefeated, would remain second on the points table. Provo were coming off another five-point road win after topping Colorado Springs Grizzlies, 46-17, at Bear Creek Lake Rugby Park on the Saturday, and the Men of Steel were looking to complete their Eastern Slope sweep with a second result; Boulder had something else in mind entirely. Steelers with a lot of early possession and territory, keeping Boulder on the back leg with pounding probes from breakdown and powerful near channel smashes from their centers. Boulder experiencing issues handling the ball, while being the recipients of a favorable penalty count. First blood to the travelers as dangerous outside center Meiohihifo Kuli was put in space to cruise in for the grounding and his own conversion, and it was 7-0 Provo in the 13th minute. Much action between the 22s as possession exchanges at breakdowns and knock-ons in the blowy wind were truncating flow and setting the lads to scrummage. Boulder got aboard after a won lineout was mauled into goal for lock, Jacob Celermajer, to ground and 7-5 for Steelers at minute number 30. A boot for territory caught a tailwind and went directly to touch, so Provo with the scrum-put 35 meters out from their opponent’s tryline. Scrum won and tight, inclose pick-and-goes as the visitors flowed into the Boulder 22. Ball swung wide from breakdown; three-quarterline player Viliami Halasima shifted and swerved his way on a cutter the final 20 meters for the try and Kuli’s conversion: 14-5 for Provo after 34 minutes. That was the scoreline at the break with lads off for words of wisdom and hydration as well. Provo penetrating well inclose with forward surges from breakdown and the sets, and Kuli was magic in the centers obtaining linebreaks with regularity; Boulder scrappy in defense with flyhalf, Sean Kilfoyle pulling canny strings from the pivot slot, mixing the lengthy cutout with misdirections to keep the adversary wary. Restart to touch by homeboys, so Provo a big scrum-put midway. Ball won and spun weak found Kuli creating his own space through sheer might. Boulder now feeling the wrath of the ref for infringing at breakdown as the wind increased its swirling vagrant tempo, which played havoc with everybody’s kicks for goal as well as their strategic hoists. Boulder would find joy as tighthead prop, Louie Wilson, rounded the corner at his own ten meter line and outraced the chase to dot for Kilfoyle’s additional deuce and it was 14-12 with home team closing in the 63rd minute. A Provo offsides enabled Kilfoyle to split the uprights through a toothy wind and Boulder had its first lead, 15-14 after 68 minutes. Final numbers to Boulder from a five-meter lineout won and mauled into goal for replacement breakaway Jake Zawodny’s touch down, and a record of 20-14 for the hosts at Tricario’s last blast. noto bene: Boulder and Provo will reprise their efforts on March 5th in Utah, and though Boulder Rugby is unlost, Provo have more table points so the Steelers remain in the topspot. Weather has a great effect on games. Cricket fields get dis-smooth for runs, football,badminton and other outdoor games faces also great effects because of weather.So weather shop for weather measuring instrument has a great importance to gamers as well.